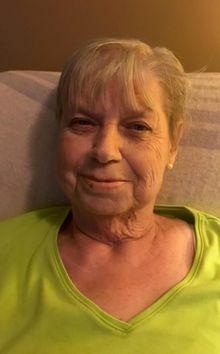 Linda Pikaart, age 76, of Forest Grove, went to be with her Lord and Savior Wednesday, December 5, 2018. She is survived by her husband of 54 years, Tom; her children: Mike and Jennifer Pikaart, Michelle and Chuck Steenwyk and Scott and Cindy Pikaart; her grandchildren: Hannah, Marissa and Kristen Pikaart; Bradley, Christopher and Andrea Steenwyk and Cameron and Madison Pikaart; her brother Al Paxson; and her sisters-in-law: Margaret Paxson and Joan and Arlyn Dykema. Linda was preceded in death by her parents, Howard and Janet Paxson. She was a member of Forest Grove Reformed Church where she served as the church librarian and custodian for many years. Linda also volunteered at Love INC in Hudsonville in the book department for several years. Linda and Tom were active members of the Newmar Kountry Klub, Michigan Aires Chapter and loved to travel and winter in Yuma, AZ.